US agribusiness giant Cargill has opened a chicken facility in near Moscow, marking the firm's first primary chicken processing operations in Russia. The plant represents a further investment of US$40m at the company's industrial complex at Efremov, located 300km south of Moscow. The facility has employed over 140 local staff has the capacity to produce 18,000 metric tonnes per annum of high quality further processing chicken products. Products from the new facility will include Chicken McNuggets for McDonald's. Cargill's operations in Efremov include a corn and wheat sweeteners plant; a vegetable oil refinery and bottling facility; a malt plant and an animal feed mill. Cargill has officially opened a chicken processing facility at its complex in Efremov, Russia. This poultry facility represents a further investment of US$40 million at the company's industrial complex, located 300 kilometres south of Moscow. The facility - which marks Cargill's first primary chicken processing operations in Russia - will predominantly supply McDonald's restaurants in Russia with high quality Chicken McNuggets as well as other chicken products. Today's ceremony to officially open the new facility was attended by Vladimir Gruzdev, Tula oblast Governor and senior representatives from Cargill and McDonald's. "Cargill has had a strong business relationship with McDonald's for many years and when sourcing locally became a key requirement for McDonald's in Russia, we were pleased to be able to work together and help them find a solution," said Jeremy Graves, General Manager, Cargill Meats Europe. "Our processing plant and our joint efforts to build a sustainable local supply chain is yet another example of the ongoing collaboration between our two companies." As part of this investment to establish a local chicken supply chain in Russia, Cargill has started to develop local supply partnerships with Russian poultry rearers in order to ensure that the locally sourced chicken meets Cargill and McDonald's high quality, food safety and welfare requirements. Graves continued, "The long term goal is that we will source the majority of our chicken in Russia and allow McDonald's consumers to benefit from high quality products produced in country from Russian reared chickens." According to Irina Korshunova, Supply Chain and QA Director East Division & Russia at McDonalds, "We are pleased that Cargill, as one of the global food industry leaders, is producing chicken products for the consumers of McDonald's products in Russia. 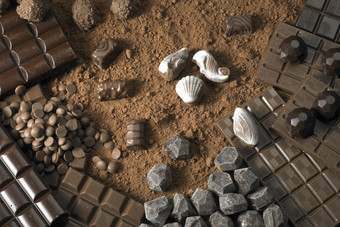 From the time we decided to enter the Russian market, we started developing a local producers' network with Cargill. We are confident that the successful partnership between McDonald's and Cargill will continue to thrive with poultry production in Russia." The facility which has employed over 140 local staff has the capacity to produce 18,000 metric tonnes per annum of high quality further processing chicken products and will be a valuable addition to Cargill's existing group of businesses in Efremov. Cargill's operations in Efremov include a corn and wheat sweeteners plant; a vegetable oil refinery and bottling facility; a malt plant and an animal feed mill. Cargill's vegetable oil refinery already supplies oil to McDonald's restaurants in Russia and now oil is also being used in the poultry production process for the nuggets and patties. Graves concluded, "We are fortunate to be able to be part of such a strong cluster of businesses, to be able to leverage synergies and to learn from Cargill's many years of experience in Russia in order to grow our poultry business in the region. 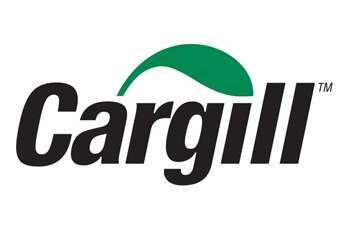 Cargill is committed to our operations in Efremov, the Tula region andRussia." 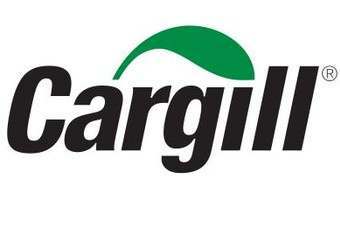 Cargill is an international producer and marketer of food, agricultural, financial and industrial products and services. Founded in 1865, the privately held company employs 142,000 people in 65 countries. 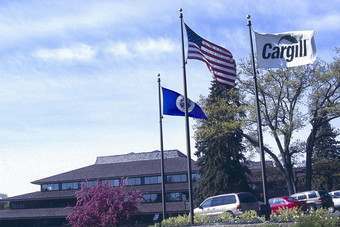 For more information, visit http://www.cargill.com .